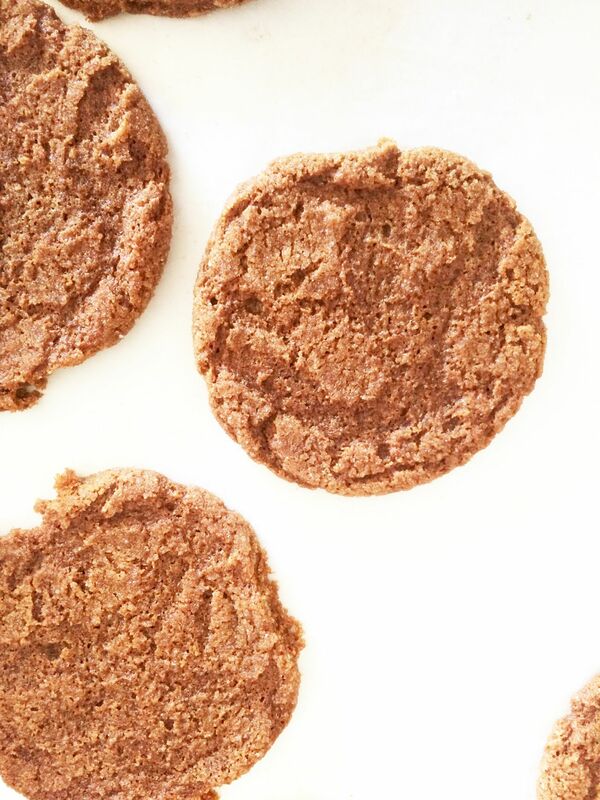 Old-Fashioned Molasses Cookies, a recipe passed down for generations. Rolled in large sugar crystals, they bake into a crisp exterior but soft in the middle. Great on their own, perfect for ice cream sandwiches! A must make! This week is my sister’s birthday! Cue the balloons, party hats and streamers …… well as we get older maybe not exactly the party we want to have. We want to celebrate with those we love and with good food!! What better way than a family recipe that comes with lots of great memories. The solution for my dilemma for making something that will make the birthday girl smile???? Baking our Mom’s Old-Fashioned Molasses cookies. My sister came home one summer for an extended visit and I think we made these cookies every single day if not twice a day. Seriously, we must have made them 50 times that month she was home. It took me years after that summer to be able to eat them, but after I made a batch for this post I was addicted all over again. I can’t keep my hands off of them they taste so good. They are ultra easy to make and they have hints of all the yummy spices that are comforting…..cinnamon, molasses, cloves and sugar. I loved that I had everything in my pantry to make them. I mean really?!?! Simple, stock ingredients, and yummy? WINNING!!! My mom was always good at having her cookies come out very uniform. She did this by using different scoops. With this recipe after mixing together the ingredients, you use a small scooper to get equal amounts of dough together then roll them into a perfect ball coat the ball in sugar. When you bake them they spread out flat and are uniformly even. They are adorable and very delicious. Did I say how the flavor of this cookie is very comforting? I can’t say it enough. It just takes you back to times with old-fashioned homemade goodness! 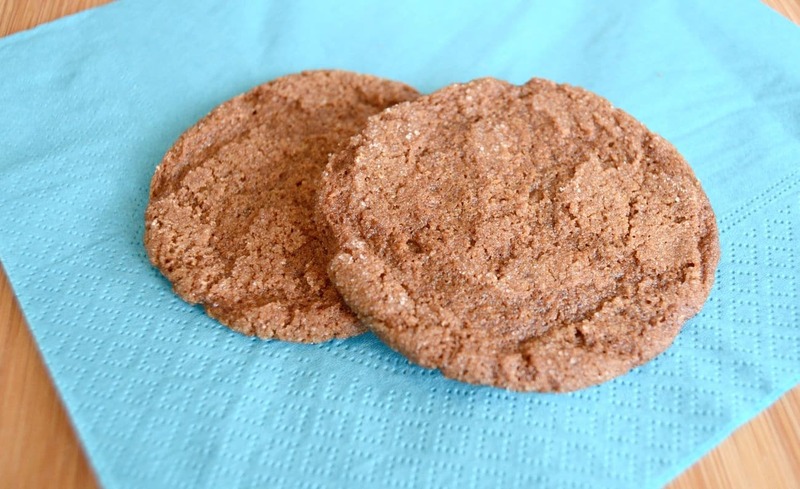 WANT ANOTHER USE FOR THESE OLD-FASHIONED MOLASSES COOKIES? This Old-Fashioned Molasses Cookies recipe makes quite a few cookies so I’m thinking they will be perfect for a homemade ice cream sandwich too. But that’s a post for another day. Today it’s for celebrating my sister and enjoying one of my Mom’s old-fashioned cookies!! Looking for something to remind you of cookies from your childhood? Old-fashioned Molasses cookies will remind you of homemade deliciousness that you used to get at a local bakery or your mom used to make. The flavors of comfort....cinnamon, cloves, sugar and molasses will make you want to eat them all! Using a mixer, cream shortening and sugar until well blended. Then add beaten egg and Molasses, mix on high for 2 minutes, scraping down the sides of the bowl as needed. Add dry sifted ingredients 1/3 at a time to creamed mixture. Place mixing bowl in fridge for 30 minutes to chill. Using a 1/2" scooping utensil roll dough into balls, then roll in sugar to coat. Bake for 12 - 15 minutes until browned and crackled, turning the pan at 6 minutes. Let cool on a wire rack for 30 minutes. If you don't have a sifter, use a mesh strainer and tap the strainer with your hand to sift ingredients. Cookies will spread out, so be sure and leave room in between them. If you like cookies be sure and check out these other recipes that I have Tropical Cookies and these St Patricks Day cookies… You can make them with other colored coconut for whatever time of year it is! i should definitely give this a try. Not a baker from scratch but I can try. LOL. Yummy!! Cookies and cupcakes two of my favorite things!!! Don’t those two things just make you think of homemade yum~! These are definitely one of my favorites, these and ginger snaps. I haven’t made molasses cookies in a long time though, I think I might have to remedy that today! I love molasses cookies! They’re especially tasty when used to make ice cream sandwiches. Reminds me of my grandma- thanks for sharing this recipe. I’ll likely make some for Easter. I love the scent of molasses cookies baking in the kitchen. My Mom has made them from scratch before, but not myself. That seems like comfort food at its best! I bet this makes your kitchen smell so good! I used to have these with my nan all the time as a little kid. This takes me back. Thank you for the recipe, will be making these very soon! These look delicious. I don’t think I’ve had molasses cookies before but these sound easy to make since I have the ingredients in my pantry already. I don’t think I have ever had a molasses cookie?! You made me giggle with your summer cookie eating escapades. I have never had Molasses cookies. They sound wonderful!! These look so darn good! I haven’t had molasses cookies in forever. I need to try them again soon! Those look so tasty. I haven’t had molasses cookies in a long while. This recipe looks identical to the recipe my Nana used to make for us when we were kids. They are my favourite!! Can’t wait to whip up a batch for my kids. They have never had a molasses cookie before. Those sound amazing. 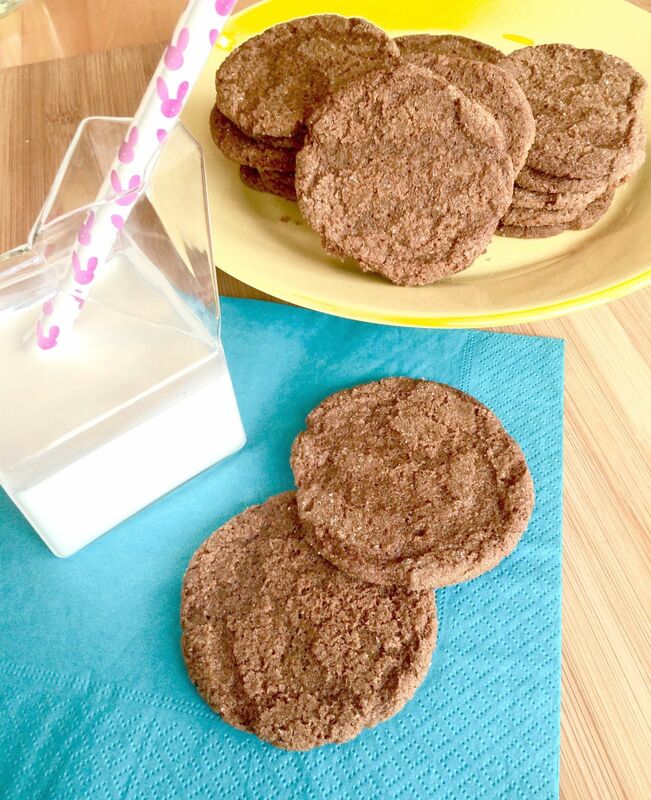 I love chewy molasses cookies – especially dipped in milk. NOM! Aw! Wishing you a very happy birthday! 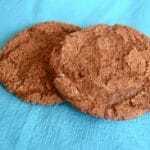 These Molasses cookies are so delicious at least they are in my mind lol! Yum! I love cookies! And cupcakes! (wink) These cookies look so yummy…and easy to make. Never tried this type but just might with this recipe! Thanks! These are my favorite cookie…and I had them for breakfast, snack, lunch, snack, dinner, snack until they were all gone! My birthday lasted quite few days as the yield and partaking pleasure is quite high.